Do you remember flying aeroplanes with the help of rubber band launcher pad. It used to be one of the favourite games of old times. The invention of ‘rubber band’ is credited to Stephen Perry, British businessman who got rubber band patented today in 1845. His corporation was the Messers Perry and Co, Rubber Manufacturers of London. Production of rubber bands ‘for papers, letters, etc’ was inaugurated by the firm at about the same time. 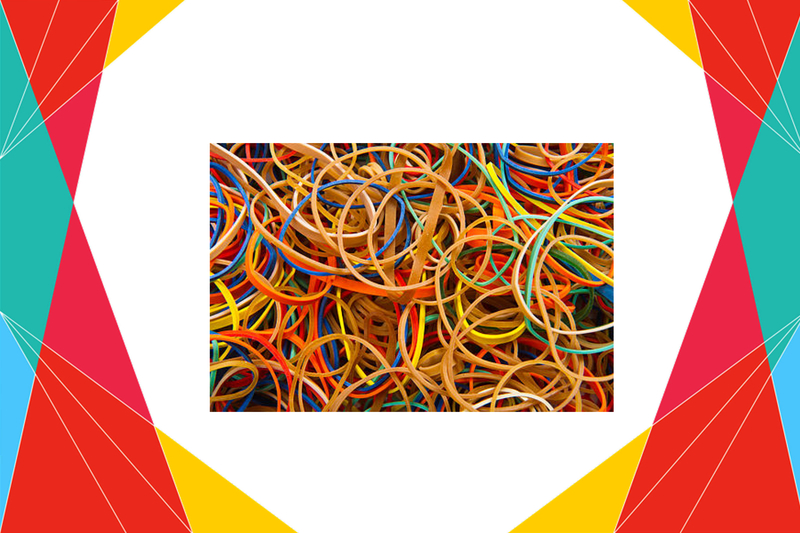 While other rubber products may use synthetic rubber, most rubber bands are primarily manufactured using natural rubber because of its superior elasticity. Rubber, which comes from latex extracted from the Hevea brasiiensis, otherwise known as the rubber tree, has been used for centuries. The first known civilisation to use rubber was the Olmec, who flourished in what is now Mexico. The Olmec, meaning "rubber people" in the local language of the Aztecs, used their rubber extraction and production knowledge to create a rubber ball. Dating as far back as 1600 BC, the Olmec’s creation is one of the earliest examples of a ball used for sport in history. Rubber first arrived in Europe in the 1730s, when the French explorer Charles Marie de La Condamine returned with samples from South America—where the rubber tree is native. Later that century, the elastic extract appeared in England, where it was celebrated for its capacity to erase pencil markings and given the name rubber by a chemist named Joseph Priestley. Previous 16 March : Who thought of books with photographs ?